The best solution for affordable web & email hosting services in a shared hosting environment. Our Data Centres are located in multiple cities across Europe, USA and Middle East. Dubai Net Solutions provides quality Web Hosting services and we are your best partner for any other web hosting services. Our Professional Shared Web Hosting solutions are our best-sellers since 2001, and it suits any private user and most small and medium organisations looking for a simple online presence to host their website and their e-mails. Our Shared Web Hosting service offers local support in Dubai, Europe and USA to guarantee one of the best customer service experiences in the region. Your shared web hosting solution is with us! Our prices are fair for the quality we offer in terms of service and support. Our Windows and Linux hosting servers are located in powerful data-centres in multiple locations in the USA, UK, Portugal or Australia. 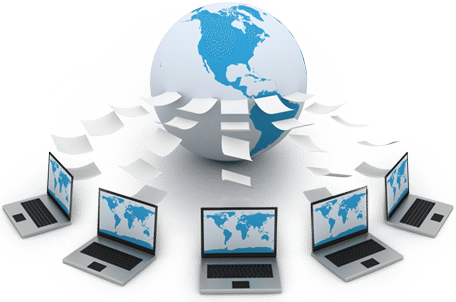 If you don’t find a suitable package, please contact us and we will find you a web hosting or email hosting solution to suit your needs and your budget. All our servers are protected with the latest patches and stable software updates to guarantee the maximum security. We have firewalls and tools to protect our users from getting their data exposed to third party users. No, we have a transparent pricing policy. All you will pay is described in the order page. How long will take to activate the service? Once the payment has been confirmed by our billing department, the account will be activated within the same day. Sometimes, this happens after just a few minutes after the payment. We offer cPanel to all users. cPanel has proved to be one of the best control panels in the hosting market for decades, through an user-friendly interface. For more information, you can try-out cPanel demo here. You may pay online using a credit card, or via PayPal. If you prefer to pay offline, we accept bank transfer, cash deposit or cheque deposit into our Emirates NBD account or directly in our office. We provide 24/7 support through a dedicated client area system at www.bluenetbox.com. All registered users get priority support when submitting a support ticket for any sales, billing or support departments.